The rising prevalence of various chronic diseases, such as cancer and cardiovascular diseases (CVDs), is driving the global market for ultrasound, significantly. The increasing preference for minimally invasive, as well as non invasive diagnostic procedures, together with innovation and advancements in technology, is projected to boost this market in the near future. The increasing cases of injuries in tendons, muscles, joints, vessels, and other internal organs are expected to support the growth of this market over the next few years. Apart from this, the expansion in the geriatric population base across the world, the increasing number of hospitals, clinics, and diagnostic centers, and the continuous introduction of highly efficient imaging products in the market are also expected to act as the growth drivers for this market in the years to come. Moreover, the rise in the global population base (birth rate) is anticipated to fuel the demand for advanced ultrasound devices in the near future. The increase in the expenditure in the medical and healthcare sectors, rise in the funding and investments in public and private sectors partnerships for advanced ultrasound devices, and the constant miniaturization of ultrasound devices are projected to offer significant opportunities for growth of the global market for ultrasound over the next few years. The worldwide market for ultrasound is mainly spread across North America, Asia Pacific, Europe, Latin America, and the Middle East and Africa. Europe, among all, has occupied the leading position. Analysts at TMR Research project this regional market to remain on the top over the next few years, thanks to the presence of a well-established medical and healthcare infrastructure. The increasing number of pregnancies and medical complications have been driving the global ultrasound market for the past few years. Hospitals are showing fast adoption of ultrasound devices in areas of urology, radioecology, gynecology, cardiology, vascular, and others. Though radiology/general imaging has a dominant share in the market, the cardiovascular segment is projected to show rapid progress due growing demand for understanding complicated problems associated with the heart. Improved imaging is expected. The incidence of cardiovascular diseases and cancer have shown tremendous rise in the past decade due to the drastic changes in lifestyle and dietary choices. Thus, the high prevalence of wide range of infectious and chronic diseases are expected to augment the demand for ultrasound devices in the coming years. The global market is also expected to witness a spur in demand as the number of accidental and sporting injuries go up in numbers. Injuries caused to vessels, joints, tendons, muscles, and other inaccessible organs of the body require and ultrasound checkup to determine the intensity and decide the intervention. The popularly used devices in the global ultrasound market are display devices and portable devices. The portable devices segment includes handheld ultrasound devices and trolley/cart based ultrasound devices. Analysts anticipate that the emergence of point-of-care (POC) diagnostics are expected to drive the global market in the coming years. On the other hand, the display segment includes color display and black and white display. Of these, the color display segment is gaining good traction as it offer clear visuals. Augusta University is working on developing a 3D ultrasound machine to not just support their research but also to aid conclusive diagnoses of concussions and other injuries to the head. This machine will be designed, specifically for sports injuries. The team received a handsome grant to develop a chip that will be incorporated in the conventional transducer to make it a 3D transducer. This machine will be relatively cheaper than the currently available 3D and 4D ultrasound solutions. Such initiatives by leading players and other research institutes will create a positive atmosphere for the growth of the global ultrasound market. Firms are also looking at collaborating with colleges and other research institutions to deliver higher quality of products. Miniaturization could be the next novel trend in the global market as it will revolutionize ultrasound for several, giving them a chance to understand the condition at a lower rate. In terms of geography, the global ultrasound market is segmented into Latin America, North America, Europe, Asia Pacific, and the Middle East and Africa. Of these, Europe held a leading share in the global market in 2014. Analysts predict that the region will lead the way for others as the healthcare sector is witnessing rapid technological innovation that has led to the launch of new products. Additionally, strong presence of leading players and increasing investments in research and development are expected to propel the growth of the global market. North America is also projected to be instrumental to the growth of the ultrasound market. The well-established healthcare sector in the region and supporting government initiatives are expected to boost this regional market. The vast potential of unmet medical needs and the rising prevalence of diseases such as cancer across Asia Pacific is expected to boost the regional market. 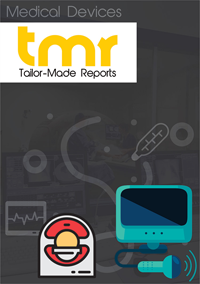 Some of the key players operating in the global ultrasound market are GE Healthcare, Fujifilm Holdings Corporation, Analogic Corporation, Toshiba Medical Systems Corporation, Siemens Healthcare, Esaote S.P.A, Philips Healthcare, Hitachi Medical Corporation, and Mindray Medical International Ltd.